8 miraculous years! I wish I could somehow reach across the miles and whisper the miraculous news into her birth mother's ears... surely she would be stunned by such news! When she left her at that bus stop a little more than 7 years ago, she must have believed that her life was hanging in the balance even then... It was! But God's healing hand covered her little life and she survived. Even when the doctors proclaimed her to be "terminal" and sent her to the orphanage to die, she continued to cling to life. And today... she is so full of life that no one that saw her tonight as she celebrated her 8th birthday would have believed that her future still hangs in the balance. Her love for life~ her relentless hope~ her contagious smile, are beyond explanation! I call that a miracle and I am grateful beyond words that God has allowed me to enjoy a front row seat for all He is doing in and through her young life! It has been a difficult road and many twists and turns still lie ahead. And though I have no assurance that this journey will end in the way I am hoping, I'd do it again... a million times over! 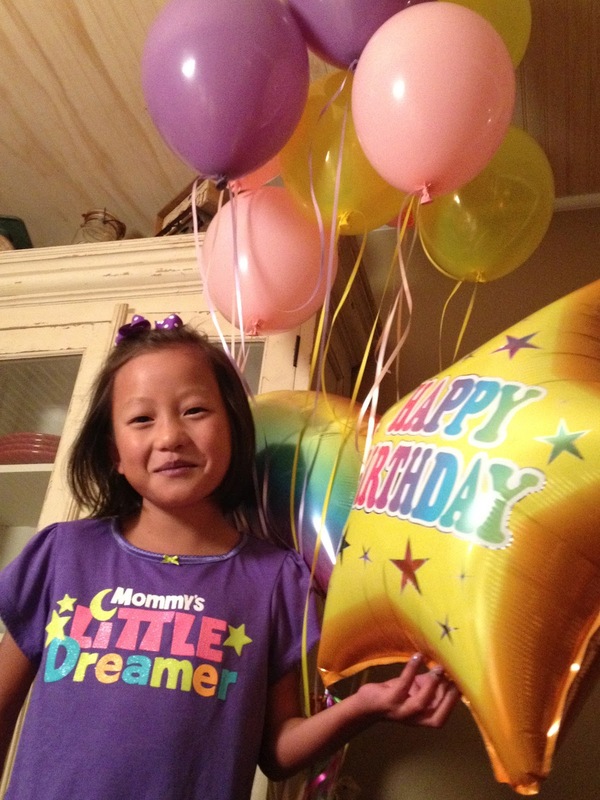 Rachel has looked forward to this day since she came home from China last September! 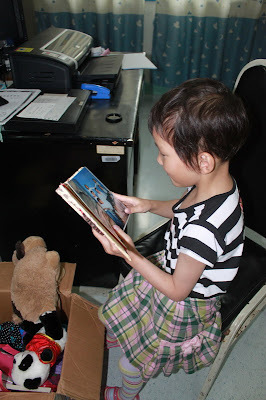 I was able to send a package to her last year for her birthday. It included news that she had a family... complete with photos of all of us anxiously awaiting her homecoming! She says that she was happy- she had longed to be chosen for so long! So happy, that she claims she had a hard time sleeping every night after that special day, because she was so excited that we might arrive to take her home "tomorrow". Sadly, it would be almost 3 months before that "tomorrow" would finally come! 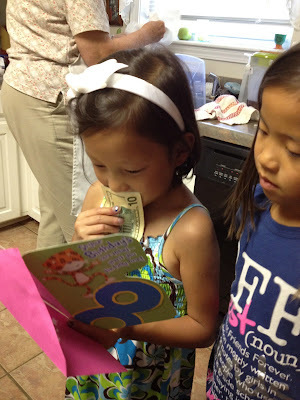 Thankfully, that birthday would be the last she would spend alone! 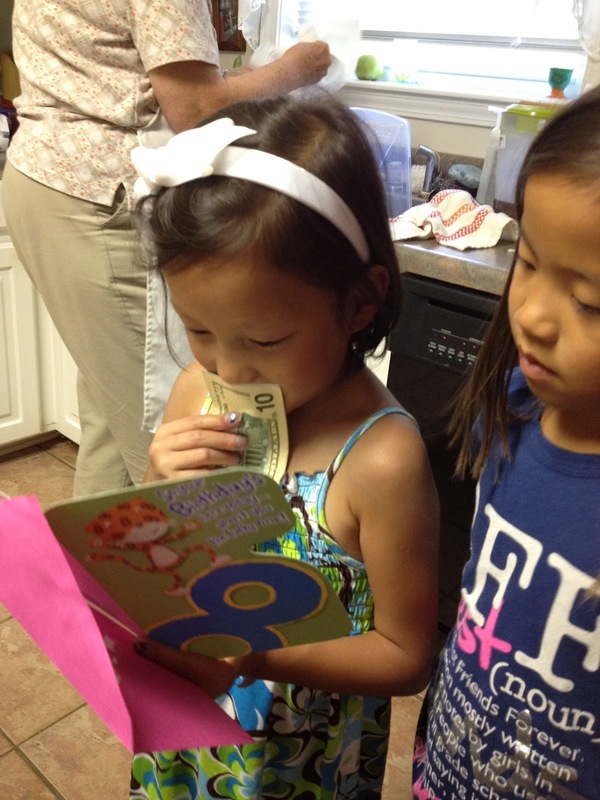 Today, her 8th birthday was filled with a family that adores her and a great hope that a new heart might bring with it, the chance to celebrate many, many more years of birthday celebrations with the people that love her so much! We begin this new year waiting for the phone to ring with the news that the heart we are hoping for has finally arrived! As each day of waiting turns into weeks, and then into months, I wonder how much longer Rachel can hold on... Many have tried to encourage me by claiming that the last 8 years filled with such miracles are a guarantee that God's plans include a long life ahead for Rachel. My hope does not rest in any such "guarantee". My hope rests in knowing that God loves Rachel. He has an incredible plan for her life! This is an amazing, miraculous truth whether that plan includes many happy birthdays in the years ahead, or if that plan ordains this to be her last. Only His grace could explain the absolute peace I feel deep inside even typing such things... But I know that if He takes her "home" tomorrow, her life will have had unmistakable meaning and eternal purpose! My own life has been touched and blessed immeasurably by this precious little orphaned girl who knew nothing of HOPE or HOME. And through her, God has taught me the true meaning of both!! Happy Birthday to you, precious Rachel! You are so very loved!... today and always! I have to include this one!... 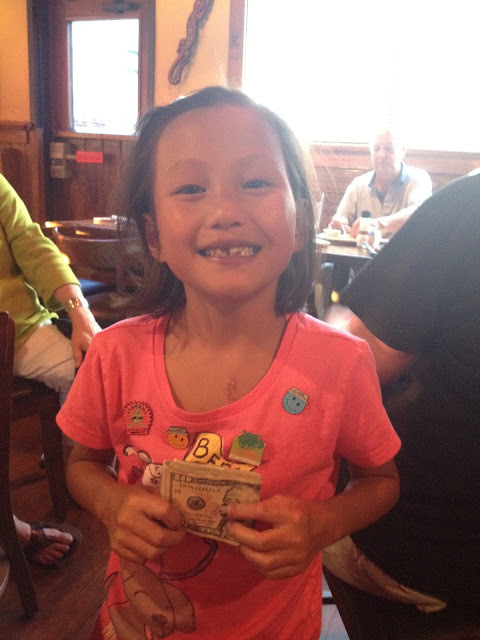 When people around our table witnessed the pure delight on Rachel's face at the singing of "Happy Birthday", many began pulling out their wallets and calling Rachel to their table to give her some birthday cash! She walked out of Outback Steakhouse with $27.00 in her hands and the biggest smile you can imagine across her face! It astounds me how many people are so moved just by watching Rachel find such joy in the things most of us take completely for granted!